Laptops are one of the most popular products to buy around Black Friday, with deals springing up at all the major online tech retailers. But how do you spot a real bargain? Working out exactly what you want, which models tick the boxes and whether a deal is really as good as it seems can help ensure you end up with a Black Friday gem that’ll last for years. Read on for everything you need to know about buying a new laptop in the sales. 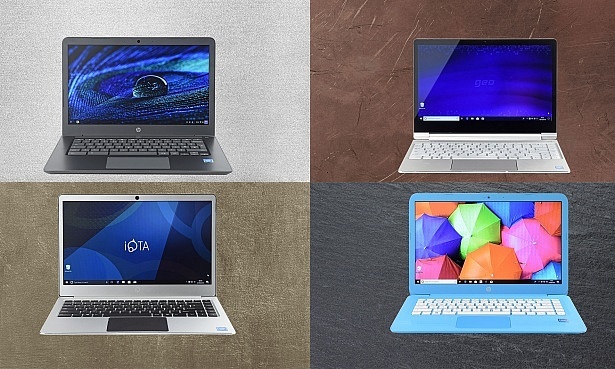 Browse our Best Buy laptops to see which models impressed in our lab tests. First, it’s important to understand what sort of a laptop you actually want. Our laptop personality quiz below should help you get started on deciding whether you want a Windows laptop, a Chromebook or an Apple MacBook. You’re best suited to a Chromebook. These lightweight machines are typically very cheap and very simple to use. As long as you don’t mind using web-based applications, you’ll be off and working in no time at all. Looks like your best fit is a new Windows laptop. With such a wide variety to choose from, there’s something for all tastes in the world of Microsoft-powered laptops. You should also take a close look at what you actually want to do with a laptop, as this will decide the price range you should be targeting. Less than £350: You’ll find Chromebooks and Windows netbooks in this price range. These laptops are ideal for browsing the web and writing documents. They’re not the fastest, but they get the basics done. £350-450: Here you’ll find laptops that offer a tempting mix of speed and value for money, with Core i3 processors suitable for opening lots of web browser tabs and even some light photo editing. £450-700: This price bracket tends to include thin and light ‘ultrabooks’ alongside powerful, larger laptops that are well suited to heavy web browsing, photo editing and even a bit of video work. Over £700: Better build quality, screens and speakers start appearing at this price point. If you can afford them, premium laptops can offer the best experience around. For more on what to expect from different laptop price points, see our guide to Windows 10 laptops. While price is a great starting point for understanding what a laptop is capable of, it’s important to look at the finer specification details before plumping for a specific model. The best way to find the right bargain is to know exactly what you’re paying for, and whether you really need it. Find out more about laptop specifications in our guide on how to buy the best laptop. See our guide to Intel processors to understand the difference between Core i3, i5 and i7 and Pentium. Just because a retailer screams about a great deal doesn’t mean it’s actually any good. The deal on this product looks great, with £220 off. But, the small print shows that this laptop was only sold at full price for less than a month, between October and November. That’s not to say the new price is a bad deal, but it certainly isn’t the huge saving you’re looking for. At Currys PC World in particular, confusingly named HP laptops are common, and HP laptops with identical specifications (but different model names) are sold at the price shown above practically all year round. Also, look for price promises. Again, Currys PC World and other UK retailers run a price-matching scheme, but this isn’t always what it seems. Many laptops are exclusive to the retailer they’re found at; John Lewis stocks lots of exclusive Asus laptops while Currys has dozens of HPs that can’t be found anywhere else. Sometimes these laptops look nearly identical to models found in other retailers, but there’s normally a colour change or a subtle specification difference which means, technically, they’re not the same and thus may not be eligible for a price match. If you can, it’s also worth checking in-store for more deals, as some branches of larger retailers may have one-off deals on ex-display models, or laptops that have been returned but otherwise work just like new. Which?’s laptop reviews index is open to anybody. If you’re a Which? member you can see full scores and reviews, but even if you’re not, you can still sort and filter laptops by price, brand and features, which will help you build a list of models that might be of interest to you. Then keep an eye on the models you’re interested in to see how the prices change over time. We’ve previously found that deals found in the traditional sales periods aren’t always any better than price drops at other times of year. See our guide on how to check whether a Black Friday deal is real for more. Websites such as Pricerunner and camelcamelcamel can be very helpful for tracking the prices of popular products. The Microsoft Surface Pro, Surface Laptop and MacBook Air have all been superseded in 2018, so look out for some genuine bargains on 2017 models. Last year Microsoft cut a huge £274 off the price of a Surface Pro and bundled a keyboard with it; and other retailers followed suit. Microsoft has dropped £200 off the price of the brand-new Surface Laptop 2, and the Surface Pro 6 on its website, and these products are just over a month old. That bodes well for even more deals from other retailers as we head into Black Friday week. Dell XPS laptops are often heavily discounted on Dell’s website and on Amazon. Dell has started its own Black Friday deals, with discounts of up to 17% off affordable Inspiron laptops and its XPS line, including the Dell XPS 13 and XPS 15. The Google Pixelbook dropped from £999 to under £750 earlier this year, signalling this is likely to happen again as Black Friday rolls around. In fact, John Lewis is selling this model for under £700, expect other retailers to match its price or even beat it. Our laptop reviews are unique. 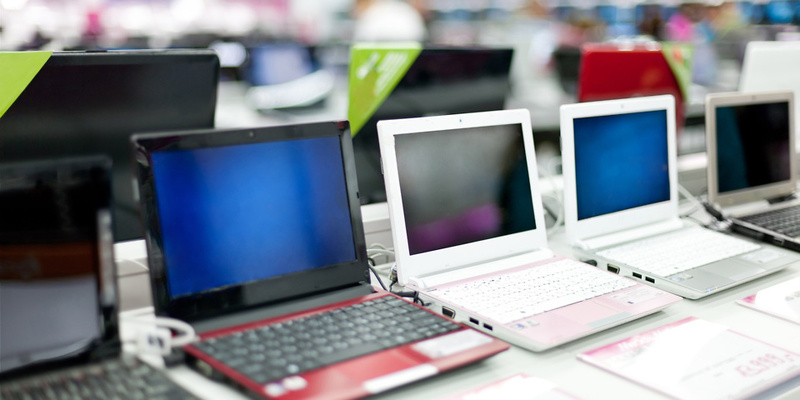 We buy every laptop we review, and each one is tested in our accredited laptop laboratory. Our reviews are independent and our scores can’t be influenced by brands promising access to shiny new review kit. See how we test laptops for more. Our list of Best Buy laptops and Don’t Buy laptops provide you with the information you need on the very best – and very worst – models around.